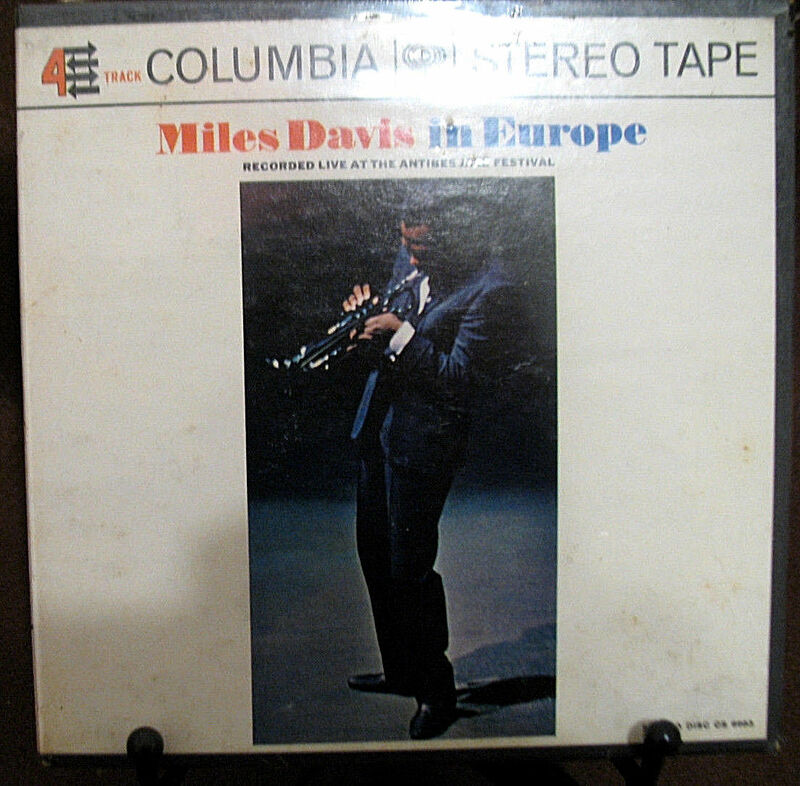 Label information: Columbia: CQ-645 stereo, 4-track, 7 1/2 IPS, in sealed box. Visual grade: Still sealed in original box. Play grade: Should play Near Mint throughout. I clean every record I sell. I use proprietary methods which are safe and effective and leave your records as clean as possible. I even clean and repair outer sleeves (and sometimes inner sleeves as well!) should they have some reparable damage (e.g., an open seam, surface grime, and the like). I inspect and play-grade every record I sell, except for still-sealed records. (See my grading scale, below). I craft my own heavy-duty mailers, not only to save you money, but to protect your investment as it wings its way to you. I ship your purchases usually within 24 hours of receiving your payment. I offer a no-quibble money-back guarantee should you feel I have exaggerated your record?s condition. Just send it back to me in the shape in which you found it, and I?ll refund your purchase price, including your initial shipping cost. If you prefer to keep the record, I will issue you a partial refund (or credit for a future purchase). Shipping cost is based on your package's weight. The first single record (plus container) weighs 1 pound, 2 ounces. Each additional record weighs 10 ounces. Obviously, box-sets weigh more. Normal domestic shipping is by Media Mail. Normal International shipping is by First-Class Mail International. SS = Still sealed; unopened and un-played; condition unknown. NM+ = Near Mint Plus. Extraordinarily clean, quiet, and virtually unmarked, except perhaps for a very light spindle track on the label; may not have been played. NM = Near Mint. Clean and quiet, regardless of scuffs, hairline scratches or apparent defects. NM- = Near Mint Minus. Less quiet than NM, with a bit more background noise, regardless of its source. VG++ = Very good plus plus. Noisier than NM-; may say why. VG+ = Very good plus. Noisier than VG++; will say why. VG = Very good. Record has some challenges, mostly crackle and ticking, but it should play through, with no skipping or getting stuck. G = Good. Good isn?t necessarily bad, but the challenges of a VG record are more pronounced in a G record: deeper scratches, louder ticking, maybe even a short skip or two. A G record is at best a good ?filler copy,? which serves you only until you can find a better copy. Exc = Excellent. Virtually perfect; may be shrink-wrapped or not; looks almost new. Exc- = Excellent minus. No major defects; clean, sound, and mark-free; perhaps a slightly bent corner or two. VG + = Very Good Plus. May have a couple small defects, such as a little writing or a little staining or yellowing, but it's quite presentable. VG = Very Good. Defects are more noticeable; may have needed seam repair with hot glue. G = Good. Sleeve has some obvious challenges but is still somewhat presentable. F = Fair. Need I say more?